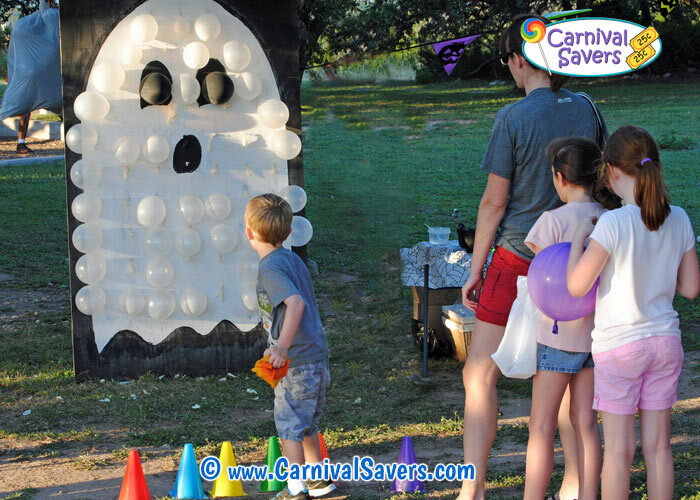 BOO-Loon Pop - Unique Halloween Game Idea - NO Darts Needed! Unique Halloween Game Idea - DIY BOO-Loon Pop! Use Clothespins to Hold Balloons on Game Board. NO DARTS Needed - Beanbags Pop Balloons! 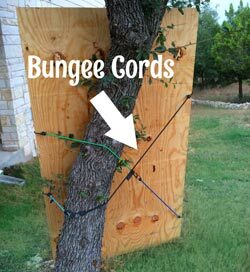 Bungee Cords for Securing Board - necessary if used outside! Many days (or weeks) before your carnival draw out a shape of a ghost on your plywood and paint your plywood with black and white paint. After the paint drys, have an adult attach the medium sized clothespins to the board. Note: each clothespin needs to be attached using the thin nail and to attach on its side (see image below) about 8 inches apart. Note: Our first try was using hooks for the balloons but the wind blew them off the board. Next, we tried hot glue and clothespins - but sometimes when a players tossed bean bags, they hit a clothespin and a balloon flew off! 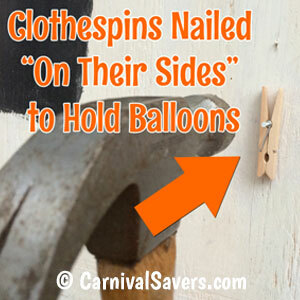 By attaching the clothespins on their side using a nail it eliminates the problem! For the balloons to pop when kids throw a bean bag, you will need to have a tack hot glued to the board. The best placement we found was to put the tacks about 4 - 5 inches below the bottom of each clothespin using hot glue. We found if the tack is "dead center" under the balloon, the balloons may be too easy to pop! You can also make some of the tacs "off center" by about 2 - 3 inches, to make this game a little bit more difficult! A few days before you event, have some volunteers blow up balloons and store in oversized garbage sacks. Set up your different "stand behind" lines for different age children. Players are given 3 Bean Bags for a chance to throw a beanbag and pop a balloon (or more) to win a top prize. 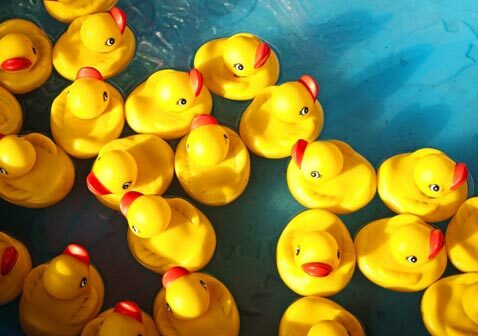 Kids line up in droves to play this fun, alternative dart balloon game! Note: For younger children, you may wish to give them 4 bean bags or let them stand 2 - 3 feet closer to the board so they have a chance to win at this game too! Lets Keep All Children Safe! Follow the guideline of the Consumer Product Safety Commission with regards to balloons and young children. Click here to download this child balloon safety pdf. Allergy Information: People who have severe latex allergies can have a reaction to bursting balloons. For schools or chruches it may be wise to talk with administrators to verify all child allergies first. Also, consider changing this game to the "Ghost Bean Bag Toss." 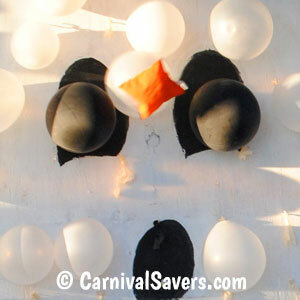 Cut holes out for the eyes and mouth for the tossing bean bags instead of popping balloons! SUPPLIES & PRIZES for the BOO-LOON POP CARNIVAL GAME!